Jennifer is a seasoned executive and leadership coach passionate about helping leaders reach their peak performance and potential. She has worked with leaders in Fortune 500 companies, medium to small businesses, and not-for-profit organizations globally spanning more than ten industries. Her areas of coachng specialty include leadership, communication, executive presence, self-awareness, social & emotional intelligence, interpersonal relationships, team building and team development. Jennifer has more than two decades of experience facilitating workshops for thousands and coaching hundreds of leaders areound the world to help them develop their capabilities as well as those of their teams. Her unique view of leadership is based on working with leaders across four continents and in over ten industries. Jennifer shares with the best nd the brightest directors, senior directors and vice presidents that leadership is choosing behaviors that inspire and enable others to contribute towards the effectiveness of the organization. Jennifer held senior organization development leadership positions at General Electric, Panasonic, and Munich Re America. In these roles, she led teams that were responsible for Leadership Development, Succession Planning, Performance Management, Diversity, and Compensation. Having an Accounting and Finance background, she was able to link interventions to business results and, ultimately, the calculation of ROI. Because Jennifer specializes in leadership development, she has been brought into organizations to coach leaders, design development programs, facilitate programs, assess the effectiveness of existing programs, program manage sustainability efforts, and measure effectiveness. One example of this is when she led the roll-out of a 9 month Leadership Development Program for approximately 950 leaders globally which included certifying trainers and working with International partners to translate materials and schedule training. In addition, she coached leaders who were participating in the program to help them sustain the behavioral change. For a global technology company, Jennifer facilitated a 3-day Leadership Development program for over 168 leaders within 6 months which has led to an organization culture change. One element of the program had the leaders work on projects and identify recommendations for business challenges which resulted in greater collaboration across the organization; a low cost, high impact recognition program; and the integration of an acquired companies services into a solution portfolio. Another area of strength is in designing Succession Planning processes and coaching leaders on getting clear about the difference between high potential and top performers. At Munich Re, Jennifer designed and implemented their first ever Succession Planning and Talent Identification process. While at Panasonic, Jennifer redesigned the talent identification process and coached Senior Leaders so that they could distinguish between high potentials and the top 20% of top performers. When implementing programs, she uses her change management mindset to develop strategies to overcome resistance. Coaching leaders at the Director, Senior Director, and Vice President levels in global organizations to increase leader effectiveness which favorably impacts employee engagement. Her International facilitation and leadership coaching experience includes working with leaders across the United States, France, Germany, Canada, Mexico, Hong Kong, and Argentina to name a few. Jennifer has been the Master of Ceremony for numerous banquets as well as spoken for many organizations including New Jersey Organization Development Network and Society for Human Resources Management conferences. "I sought out the expertise of Jennifer Smith for assistance with developing strategies for improving my ability to effectively communicate and engage with senior leaders. I had recently started a new role which required me to interact with many Senior Leaders across my organization, and was grateful to have an opportunity to work with Jennifer Smith who helped outline a comprehensive approach for 'raising the bar' with my communications skills. As a result, I learned more about the importance of focusing on the audience when thinking about the right messages to communicate, and I now have a greater ability to incorporate stories as a way to effectively engage with my audience. Overall I have improved my ability to communicate with greater confidence and I highly recommend attending Jennifer's many great training programs and woul endorse taking advantage of her executive communications coaching expertise for professional growth." Director, Janssen Pharmaceuticals. A sampling of companies that have benefited from Jennifer’s expertise include DeVry University, California State Polytechnic Uiversity, General Electric, Panasonic, Electrolux, American Airlines, American Express, Janssen Pharmaceutical, Munich Re America, Catalent Pharma Solutions, Horizon Blue Cross Blue Shield of New Jersey, Konica Minolta Business Solutions, Salesforce, , Merck Pharmaceuticals, Iron Bow Technologies, and Luxor Hotel & Casino, and Excalibur Hotel & Casino. 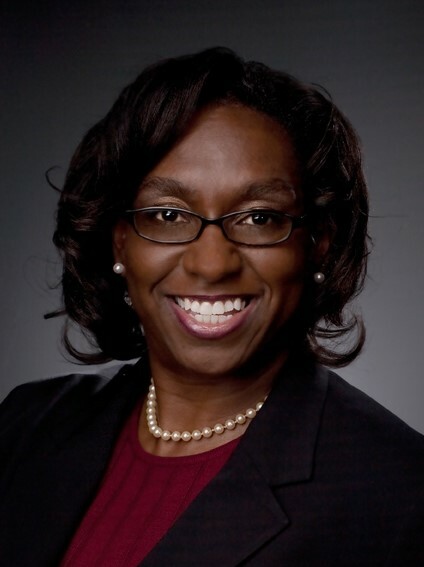 Jennifer holds a Bachelor’s degree in Accounting from Grambling State University and is a graduate of General Electric's Financial Management Leadership Program (FMLP). She also holds a Master’s degree in Organization Development and Human Resources with a concentration in Organization Development from The Johns Hopkins Carey Business School. Jennifer is a member the International Coach Federation (ICF) and serves as a Board Member for ICF-NJ State Chapter. Jennifer resides in Princeton, NJ. She enjoys spending her spare time traveling and learning about cultures. Her interests include learning Spanish, Salsa dancing, and reading thrillers.